Emotional facial expressions are powerful social cues. Here we investigated how emotional expression affects the interpretation of eye gaze direction. Fifty-two observers judged where faces were looking by moving a slider on a measuring bar to the respective position. The faces displayed either an angry, happy, fearful or a neutral expression and were looking either straight at the observer, or were rotated 2°, 4°, 6° or 8° to the left and right. We found that happy faces were interpreted as directed closer to the observer, while fearful and angry faces were interpreted as directed further away. Judgments were most accurate for neutral faces, followed by happy, angry and fearful faces. 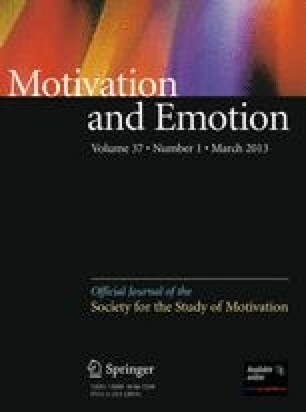 These findings are discussed on the background of the “self-referential positivity bias”, suggesting that happy faces are preferably interpreted as directed towards the self while negative emotions are interpreted as directed further away. Janek S. Lobmaier was supported by the Swiss National Science Foundation (grant number PZ00P1_121622/1). Matthias Hartmann and Andreas J. Volz were supported by a grant from the Pro*Doc program of the Swiss National Science Foundation awarded to FM (PDFMP1_127238).